Feel as if the year is flying by ? RTS Waste too ! there is so much to update our wonderful customers about in this newsletter. Nothing political which makes a change to most news bulletin these days. So take the time to read through and learn what we are doing to make your waste collections even easier for you and a little more about behind the trucks that are seen prolifically on the roads of Kent and London. For many years RTS Waste Management pride itself on service levels. With a reputation of being RELIABLE & RESPONSIVE to short notice requests. Many customers stay with us for the long haul. 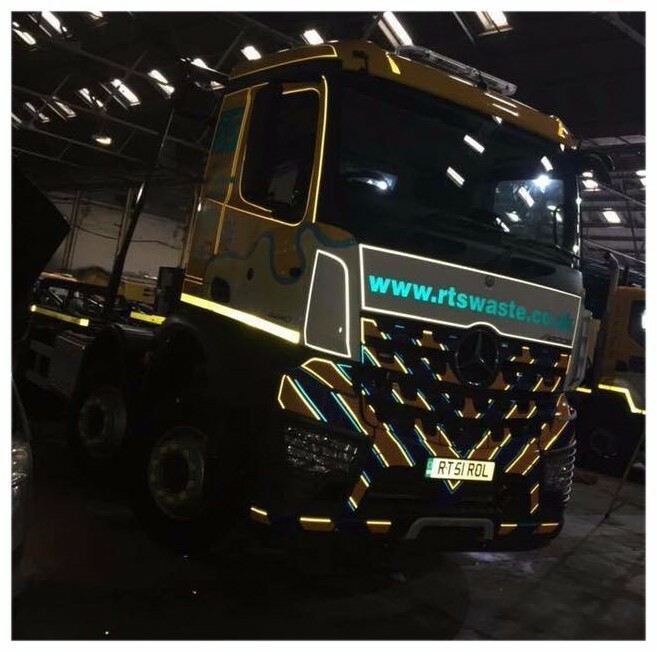 Waste management is a competitive business but RTS Waste win on knowing our customer needs and will be as flexible as possible to benefit your business. Which means you can rely on us to deliver on time and with no hassle. We can supply in any size you require and are ready to deliver immediately. There are been a lot of TV and radio exposure recently including on the “One Show” trying to make everyone understand those items which and can’t be recycling. There is still so much variation depending on your waste management contractor. 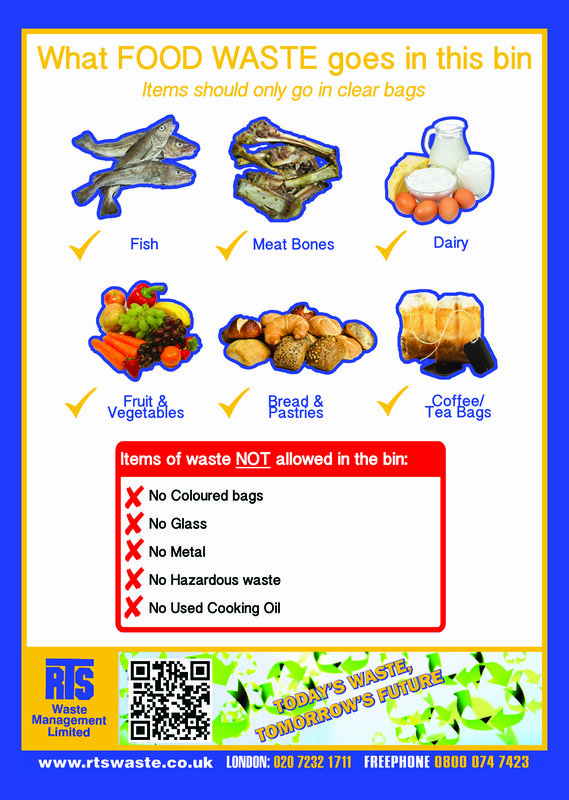 PLEASE refer to our informative FACTSHEETS available from our website download from Here For our Trade Waste customers there should be labels on the relevant bins to help all users know what RTS Waste will accept and recycle . Separate collections is an important aspect of ensuring the maximum amount of waste is treated correctly and the minimum amount of waste avoids going to landfill. Food waste collections by RTS Waste is all going to a local Anaerobic Digestive (AD) plant, working in collaboration is closing the loop of the circular economy. This means when you have a food waste collection by RTS, 100% of the waste is put to good use in regenerating other products such as compost and the gases produced are captured and used in energy regeneration. The food materials are re-processed and recycled into new products, such as liquid fat, also known as tallow, and protein meal. The tallow, or liquid recovered from the food waste can be used in the production of biodiesel or as a renewable energy fuel source, produced by a process known as anaerobic digestion (AD) to generate power for biomass Combined Heat & Power(CHP) plants. The European Commission is taking the issue of tackling food waste very seriously. Being more efficient will save money and lower the environmental impact of food production and consumption. The packaging of food waste is also a big problem, with increased convenience foods available in the UK and pressure should be placed more onto the producers of packaging to ensure the materials used are more recyclable. Leading on from the the above article RTS want to emphasise the NEED for our customers to separate their waste. You may have received emails from us requesting to come to your site to do a waste audit. 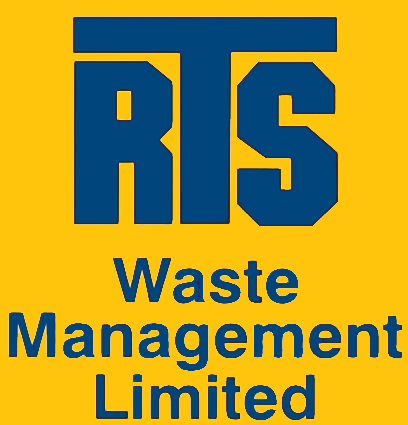 RTS offer General Waste, Dry Mixed Recycle and Glass collections. It will be CHEAPER for you and better for the environment if you separate your dry recycle materials. You should have received a written communication this month about the annual price increase that will effect all our customers. This is unavoidable and the reasons are across the industry not unique to RTS Waste. It has been a pleasure to serve you in the past and we very much look forward to continuing our business with you in the future. 2016 was an exciting year with a lot of changes taking place for us, the introduction of PDA’s for our drivers proved to be a bigger challenge than anticipated but we remain focused on our goal of becoming completely paperless. Escalating recycling costs and maintaining the ever changing legislation equips RTS with the latest safety features, vehicle upgrades and staff training to ensure pedestrian and cycle awareness. With talks of Brexit still looming over us and the 20% devaluation of the GBP£ against the Euro€ it has meant the market rate for commodities remains low, whilst EFW plants (Energy from Waste) costs increase along with the requirement of zero to landfill. All of these unavoidable costs continue their upward spiral to apply pressures on all of our services. Despite our best internal cost containment measures, we have seen costs consistently rise and we are unable to sustain the current expenditure any longer. This has left us with little option but to reflect this in our prices going forward. It is with regret that we have to inform you of an unavoidable price increase. However, we are confident that you will find the quality of our services improving daily whilst remaining competitively priced. The Night service is coming as promised,1st April is the launch date for this new service. A Night Service of your Wheeled Bins and Bag collections enabling all the offices and businesses that have a cleaning service coming in after normal hours to put the rubbish out. 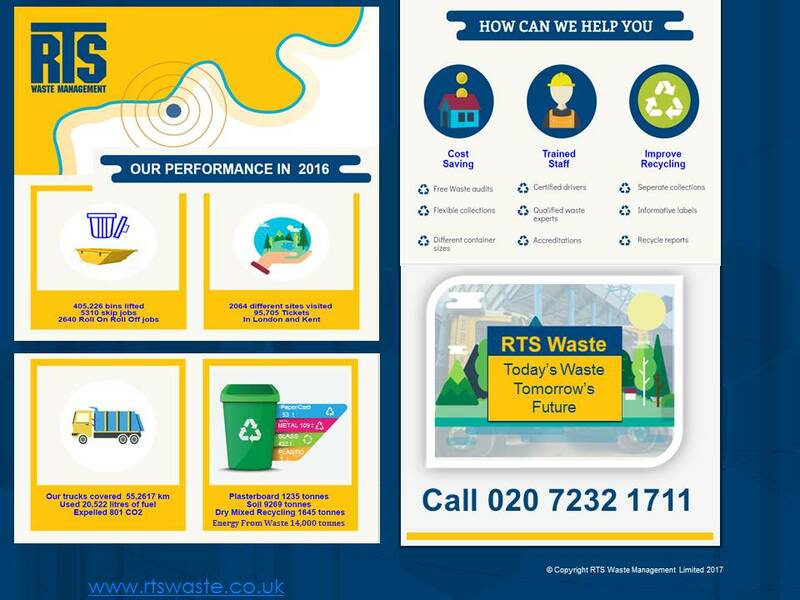 RTS Waste will be running a waste collection service between the hours of 9:00 pm to 5:00 am in the London area, using our small dust cart for these collections enables us to avoid the 18 tonne weight restriction for London traffic. So if you would like to consider moving over to this Night Service then please give our Business Development team a call to make the arrangements. This service has no additional charges and could be beneficial to your business by having the waste collected at a more convenient time when there is less traffic and pedestrian congestion. There are also environmental benefits to having the waste collected at the earliest opportunity. In 2017 there is a remote control wheeled bin visiting various towns in the UK. Here is a photo of it visiting Brixton market in February half term. The children in particular are mystified . RTS Waste agreed to donate one of our bins to an lottery funded arts project called “Silly Ideas”. 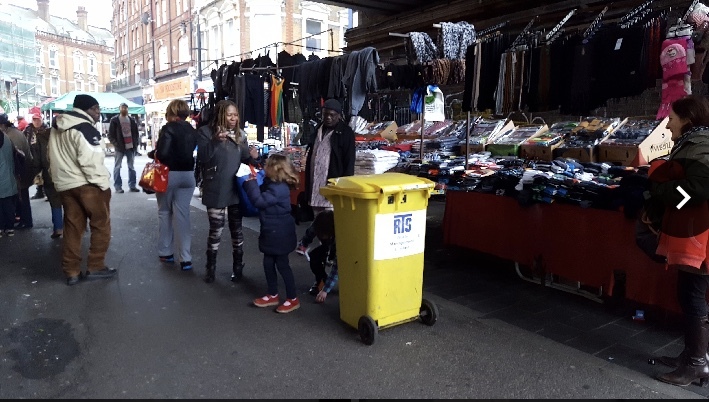 The bin is called Nancy and visits various public places with the pure motive to entertain the general public with a very “Silly Idea of the unexpected. People see the bin moving along of its own accord and start to wonder how is it working.. Is someone inside ? Two exciting Horse events that RTS Waste are involved in this year. RTS Waste is one of the sponsors to the popular POYS event held in Buckinghamshire over the Easter Weekend. People travel from all over the country to take part and support the riders. Florence Lloyd aged only 9, this will be her first appearance at this prestigious competition, with her pony called Kilbrean Lad or stable name is Ollie. RTS Waste is supporting with a hospitality table and has rosettes to be presented for one of the events. Florence visited the championship in 2016 and set herself a high target of hoping to get to take part in 2017.With that box ticked it is now her dream to reach the championship after getting through the qualifying classes. RTS Waste wishes Florence and Ollie all the best of luck. To follow more about this and other news FOLLOW RTS Waste on social media ! Ernest is a driver that has been with RTS for two years, he qualified 38 years earlier when in the Army 210 Squadron of the Royal Core of Transport. It is his dream job and always wanted to follow the same path as his late father and uncle, which he used to join in the Drivers cab from a young teenager. 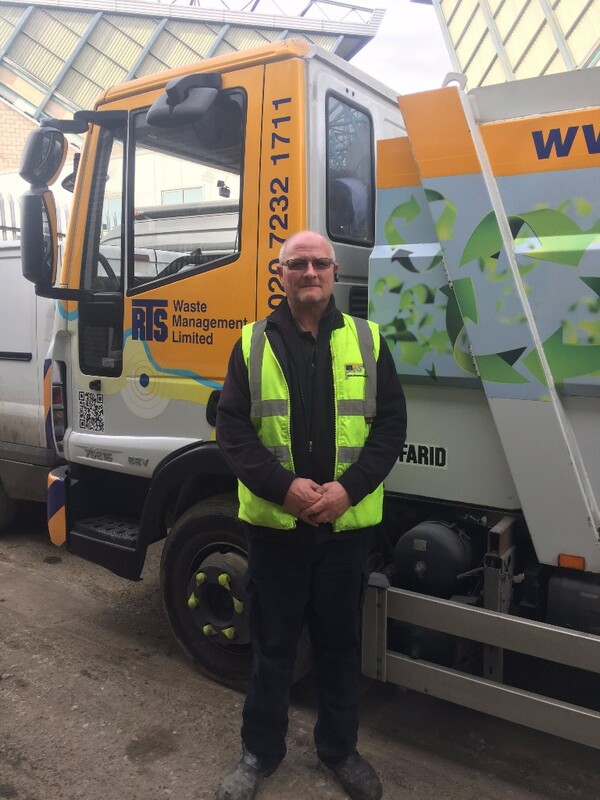 Ernest is classed as a multi purpose driver that means he can drive any of the RTS Waste fleet vehicles, sometimes it will be the Dustcart, but he can also drive Skip or Roll On Roll Off vehicles as well. Ernest loves the freedom of the road as opposed to being behind a desk in an office. When asked if the busy traffic in London gets him down he said “not really I take each day as it comes and not bothered by traffic jams”. Ernest is always cheerful and really is a credit to the company. Outside of work he enjoys DIY and is currently making a large scale 21 for his daughters birthday. Lastly, one fact that took his colleagues by surprise is he came 3rd in the UK Disco dancing championship back in 1976! We can’t wait for the next RTS party for you to take the floor.